The famous Apple logo as it originally looked in April 1977. 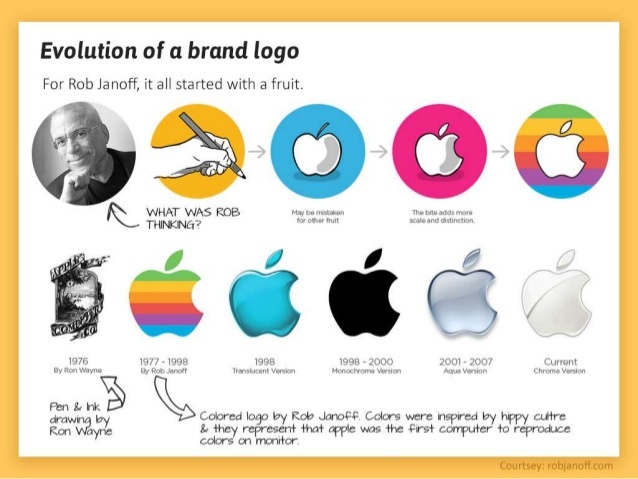 Rob Janoff is known by most for one thing: the Apple company’s iconic logo. Seen on the backs of various Apple products, the trademark logo is a timeless work of art. Before his famous design Janoff was an art director in Silicon Valley. Rob Janoff was born and raised in Culver City, a suburb in Los Angeles, California. He was educated at San Jose State University where he majored in the field of industrial design. After coming to the realization that industrial design wasn’t for him, Janoff decided to become a graphic designer instead. After completing college in 1970, Janoff began honing his skills in graphic design in Silicon Valley, working for various high-tech clients. 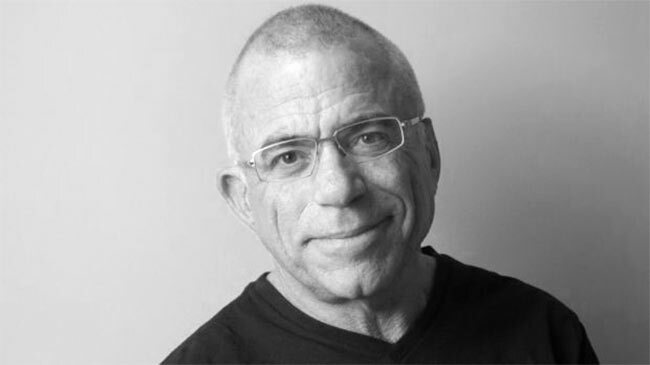 In 1977, he was hired at Regis McKenna, a top advertising agency located in Palo Alto. His hard work earned him the opportunity to design a logo for a new tech client, Apple Computer, then a small startup. Apple’s original logo, 1976, designed by Ronald Wayne. Apple’s first logo was drawn by Ronald Wayne. It depicts Sir Isaac Newton sitting beneath a tree where an apple dangles brightly above him. The caption reads: “Newton… A Mind Forever Voyaging Through Strange Seas of Thought … Alone.” The company’s name was inspired by Steve Jobs’ visit to an apple farm while on a fruit diet. He believed the name ‘Apple’ was “fun, spirited and not intimidating”. Using the recurring fruit theme for inspiration, Janoff got to work and designed what would become one of the corporate world’s greatest logos. The apple silhouette he created had a bite taken out of it. This design choice helped people realize that what they were looking at was an apple and not a tomato. The bite was also a play on words: bite = byte. Evolution of the Apple logo. As for the rainbow stripes, rumor has it that Steve Jobs insisted that the company should be humanized by a colorful logo. Others speculate, to odd extremes, that the colors on the logo where meant to represent the fall of man, with the bite and order of colors symbolizing knowledge, lust, hope and anarchy. Or maybe some people are overthinking it and that the rainbow represented the hippie culture that Janoff came from. That and Apple computers were the first to use color. Janoff would go on to redesign the logo multiple times and became a design legend in his own right. Now situated in Chicago, Janoff and his agency work for clients old and new. The second Apple logo (1998-2003); this design used an aqua theme. The third Apple logo, from 2003 to present.